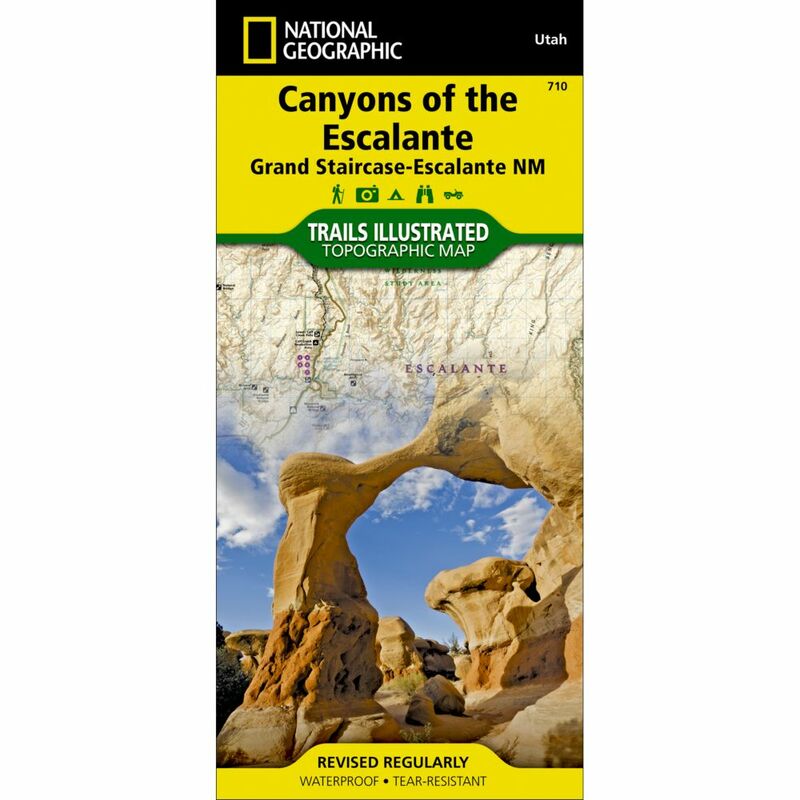 The National Geographic -Trails Illustrated™ folded map is your essential guide for outdoor exploration in Utah's Canyons of the Escalante area. The brilliantly illustrated topographical representation shows all trails, campsites, and recreational features, plus relevant info on wildlife, history, geology, and archaeology. 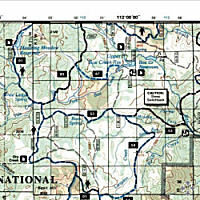 Coverage includes BLM- Escalante Resource Area, Dixie National Forest, Glen Canyon National Recreation Area. Box Hollow Wilderness Area, Death Hollow Natural Area and Wolverine Petrified Wood Natural Area. Boulder Town, Escalante and Devils Garden. Fifty mile Bench, Escalante Canyons and surrounding area, Escalante River and N.W. Lake Powell. Measures 4" x 9" folded and 28" x 32" fully opened. Scale of 1:70,500.